If you want me to trust you, you WILL trust me with a gun. That is absolutely non-negotiable. If I trust you, I'll never ask you to disarm. Not in my business, my home, or my presence. Never. If I do ask you to-- or if I demand it-- you'll instantly know I don't trust you and I don't like you. And, the reverse is also true. If you ask or demand that I disarm, I'll take that as a very clear sign of how you feel about me. Trust goes both ways. - you are also declaring that you wanto be my "massa"
- you are usually threatening consequences if your slave doesn't listen to "massa"
why give/surrender power over your life, liberty, or property to someone who declares that they own your life, your work, and your stuff?? Don't let them own your thoughts. Recognize the imminent threat of someone proclaiming to be your "massa". I agree with everything you wrote, but I think many people ask you to not bring guns into their homes or businesses simply because they're afraid of guns. 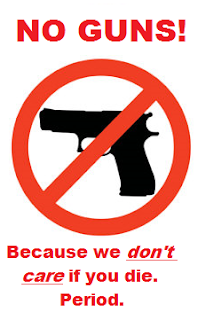 I don't own any guns, but I refuse to voluntarily patronize any businesses that prohibits guns. 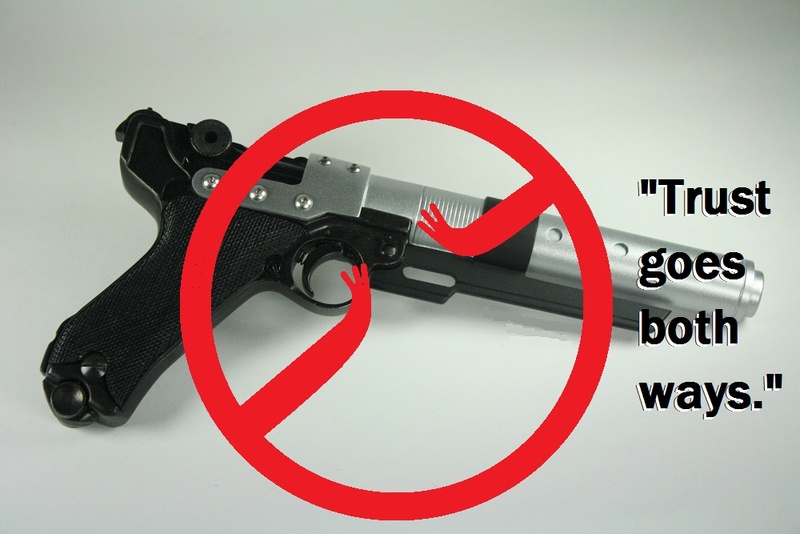 I don't feel safe where guns are forbidden. You are probably right, but I really have trouble wrapping my mind around that kind of cowardice.